Pancho Villa’s latest General isn’t like any of the others. Young, inexperienced and visionary, Chancho Villarreal convinces Villa to cease his famous frontal assaults in order to embrace guerilla warfare. 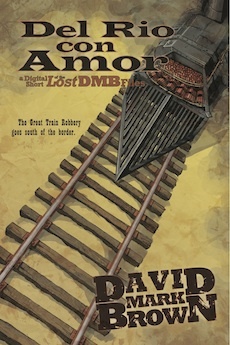 To prove his strategy sound Chancho must execute the boldest train robbery the world will never discover, unless he fails. If he succeeds, Mexico won’t know what hit it. But revolution never comes cheap, and Chancho’s about to awake to its deadly cost.